After a dismal night at home to Preston North End, Aitor Karanka had a busy deadline day at the City Ground, with seven players coming in and six leaving. On the pitch, there was a great win against Wolves and, erm, that was about it. In February's bumper Forest Ramble podcast, we discuss the incoming and outgoing players and their merits; we also look at Karanka's style and review his first month as manager; Jeremy Davies returns with his monthly sketch, Steven Toplis has a rant, and Rich Ferraro and the Maradona Of The Midlands make some Joe Lolley puns (don't give us too much stick). You can subscribe to the Forest Ramble Podcast via Apple Podcasts, listen by clicking below or visiting our Youtube feed. Do get in touch with us via social media or drop us a line at info@forestramble.com. Rich Ferraro's Forest Ramble is brought to you in association with GSMahal.co.uk and features music from Confyde. October's Forest Ramble podcast sees Rich Ferraro, Steven Toplis and the Maradona Of The Midlands discuss Forest's continuing problems at the back, in the middle, and the issue of balance up front. Plus Jeremy Davies returns with the Forest Ramble Sketch. After a memorable evening on the banks of the Trent, capping off a fine weekend of FA Cup action, we look back on 24 hours at the City Ground which saw Forest defeat Premier League Arsenal, and Aitor Karanka take the reigns as the new Reds manager. What a difference a month (and a manager) can make. If we thought it was going to be like turning an oil tanker, Aitor Karanka makes it look easy, with Cash and Lolley getting rich pickings. Rich Ferraro is joined by Steven Toplis and the Maradona of the Midlands to discuss the last month's action on and off the pitch (hello Macron), with contributions from Baz eighteensixtyfive and the Forest Ramble Sketch from Jeremy Davies. 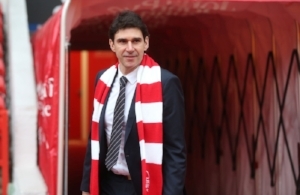 In April's Forest Ramble podcast, we discuss whether Aitor Karanka can bring success to the City Ground, we look at whether we can learn any lessons from the good old days, and we wonder whether our shipping magnate is merely attracting trouble. A bonus treat as Rich Ferraro, the Maradona Of The Midlands and Steven Toplis discuss an eventful first week for Forest - they all seem to be in a good mood.